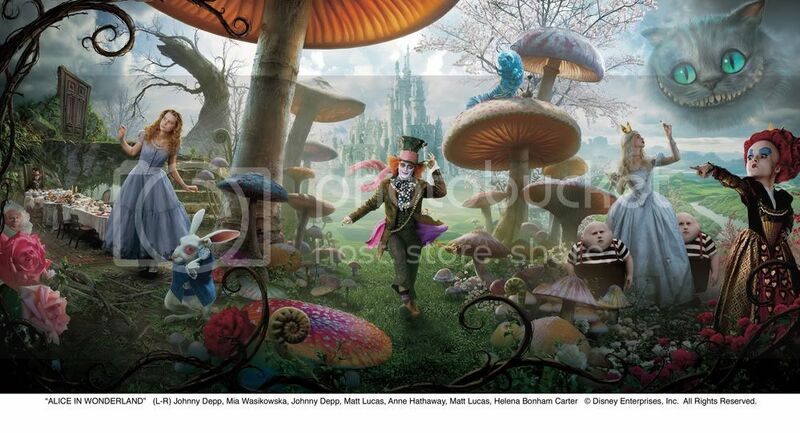 Remember last week when the Alice in Wonderland posted promotional images on its Facebook fan page? Well, now we finally have all three images together as one banner. Click on the image below to see it in higher resolution. Let us know what you think of the banner in the comments below. Alice in Wonderland, directed by Tim Burton and starring Johnny Depp, opens March 5, 2010. Golden Globes Nominees Announced For 2010, Which Viral Movies Are Nominated?